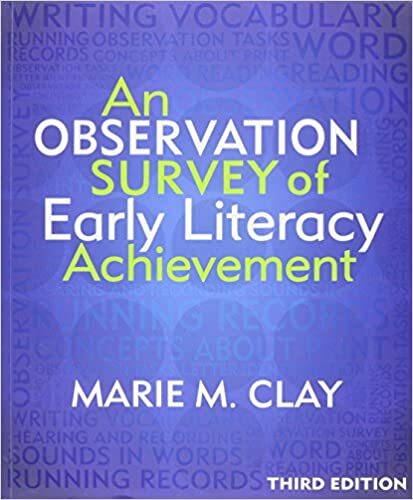 It’s been awhile since our last early literacy update! In January you read about how we’ve started working on literacy with our son followed by updates in March and again in May. We are using Reading Recovery as our model. It’s a developmental approach that focuses on individualized programming within a one-on-one Relationship, following the child’s lead like in Floortime, and scaffolding learning. Reading Recovery professionals have a high level of intense training and continued supported practice. 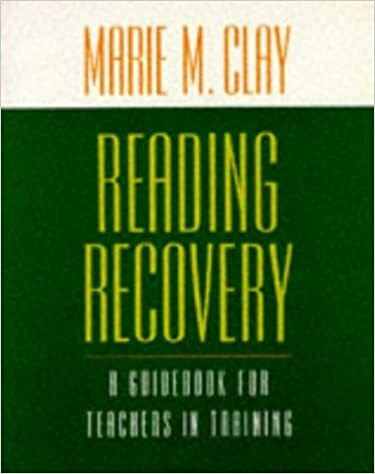 Although Reading Recovery is a school-based program designed to be implemented at the school district level across elementary schools, the design of the individualized program is entirely what interested me since I had sat in on the one-year training when I had worked with a Reading Recovery training team years ago. It is designed precisely for children like my son in helping him succeed early to be an interested, lifelong reader. No other program I have come across follows the principles of the DIR model as closely as Reading Recovery unintentionally does. Since our last update, the summer passed and our son was prescribed glasses to wear–especially for up-close activities like reading. They have a very low prescription, and only in one eye where he has a far-sighted astigmatism. He has been encouraged to wear his glasses for about 15 minutes per school day during up-close activities, but it remains a challenge to get him to keep them on. While we have not actively worked on literacy methodically at home, our son’s interest in literacy has continued and blossomed. He is surprising us with the amount of sight reading he is doing out and about of words we would never have guessed he could read. He’s reading signs, billboards, store names, and flyers we get in the mail. You name it! He can’t seem to get enough and is so interested in reading! He has also continued to have literacy experiences at school in his summer camp, and throughout the fall, including making letters with different materials and in different ways, and reading some personalized story books about friends with support, and beginning to do the cut-up sentences with success with up to three words. We finally got around to another formal visit from our Reading Recovery literacy expert in October. She was amazed at the growth in our son’s literacy, language, and general development. She was eager to try a few things with him, and if I didn’t know better, I’d think she was a Floortime practitioner. It continues to make my heart glow when I see professionals who are such naturals at using a developmental approach in supporting the children they interact with, accepting our child for who he is with not a mention of ‘behavioural issues’ nor trying to ‘direct’ what our child does. I feel such gratitude for finding such professionals for our son. Complementing eye-hand co-ordination Our expert suggested playing with play dough or plasticine and also–due to his intense interest in model trains–on controlling his trains on the track, all to promote his eye-hand co-ordination. Scaffolding 1:1 matching Our son knows that a word is a word, but is not yet controlling the task in a disciplined way without the highest form of support, including hand-over-hand support. 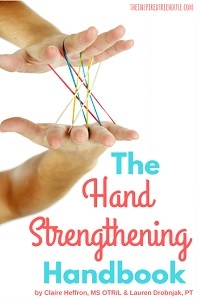 One-to-one matching requires fine motor skills including eye control. It is a very disciplined task to focus on words in an intentional way that requires a focused attention. Learning 1:1 matching takes practice to develop the disciplined eye movements required to read. The only way to learn such movements is through real texts, not through reading single words. This is something that complementary tasks cannot do, so it’s necessary to scaffold and support the reading of continuous text. Below, our expert shared how to scaffold this skill. Use affect with new language structures Use affect to accentuate the new language structure when reading. So, if we are reading a sentence about a book falling down and we want to expand it by adding “on the floor“, we would say with great enthusiasm and expression, “The book fell down ON the FLOOR!” This will attune our son’s ear to the new language structure we are adding. Writing: Learning to make letters The expert suggested using whatever medium that will capture our son’s attention and sustain it (e.g., flashlight, wet paintbrush on chalk board, pencils, markers, chalk) and providing space for large movements that sequence motor memory moving towards reducing large movements so that fine motor muscles are called into action. She encouraged us to persist with the ‘verbal pathway’ described in the March update, which is describing the motion of lines and circles as we write letters. For instance, for the letter ‘L’ we might say “down across”. We want to select texts that match his own typical language use. The way to easily determine this is to see how he does with a text. If we have a book with long, complex sentences, we can see right away that he can not participate. If we grab a simpler ready-to-read book, we might find that he will start to follow along because the sentences are simpler. However, we might see that if there is a complex sentence he might not be able to. For instance, we had a Paw Patrol book that had a sentence something like, “He put mud in the truck and sand on it.” When he got to the word “and” he couldn’t carry it on. This is likely where the cutting edge is on language structure for him. If he can’t say a sentence structure in his own use, it’s unlikely he will be able to read it, so we want him to be reading what he is speaking (* for verbal children). Does this sound familiar? In Floortime, we also expand our interactions in a limited way. For example, if he usually says things like “I want to push the train on the track.” we might expand by writing, “I want to push the green train on the bumpy track.” This will help him as he learns to match and prepare him for more complex sentences. Space layout of text: Early texts pay attention to the spacing of the text on a page. Make sure there is a lot of white space between words (even 2 finger widths wide of white space). Enlarge text: Make sure the text we have him read is large. We can even cast the text on the wall on an overhead projector to make the text really big. Use buttons or dots: Using little circle stickers or dots with a thick magic marker, we can put them under the centre of each word and ask him to touch the buttons in sequence as he says the words in a line. Use a line on acetate: Later, when he’s showing some control, we can use a piece of see-through plastic paper with a horizontal line drawn on it to place on top of what he’s reading to underline the line of text that he’s following, then he can move it down as he moves on to reading the next line of text. This will help his eyes stay on the same line of text as a guide in reading. Cut-up sentences: Take a favourite sentence from a book or something he says, write it on a sentence strip (bristol board/thick paper). Cut the words apart and arrange on the table for him. Leave big spaces between the words. Ask him to touch each word as he reads. Monitor how successful he is and then try the task again, but put the words slightly closer together. We might intermix reading to him with him reading to us. Writing his message: The expert suggests we keep a journal with simple messages that he says throughout the day, so we are recording how he speaks (his language structure). Clearly write his simple messages. Accompany the message with a picture. Write the message a second time on a sentence strip with him watching. Get him to read with us as we cut each word. Next, jumble the words in front of him. Say, “Let’s make your story again: You said, _____. Can you make it say _____?” Let him do this task without a copy of the message. This task will help him to search for features of a word that he knows such as looking for the word “Peppa” and knowing that it starts with a “P“. The searching is key. Then get him to re-read his cut-up sentence. Try a tripod grip with scrunched up paper towel! Dip it in water and write on the chalkboard so the child gets feedback with the water and sees it disappear! Enlist the child’s participation! Hand-over-hand writing doesn’t give the child control so instead enlist the child in the shared task by writing “Eat breakfast“, for example, saying, “I need a “t” please!” Then get the child to write the “t“, making sure that this is something the child can do easily. She loved how our son anticipated the story, was already thinking about the picture and what it meant, and read the title on his own. She said I was engaging him in the task and modelling the target behaviour (pointing) really well. He was using his left hand to point but he’s right-handed. She wondered if the midline of the book throws him off. Would it be easier if he pointed with his right hand? Or, should the book be placed more centrally in relation to his body? The pointing that he did could be described as ‘vague’. He wasn’t precisely pointing at words and so it’s hard to tell if he’s actually looking, or if he’s sustaining his attention to the task of looking (he may be looking at the first 3 words only). On one page, he initiated the reading, he didn’t point, but the text matched (Look at the pillow). Do you think he is remembering only, or do you think his eyes are picking it up? I’m not sure. He might be doing a bit of both. He inserted more words than were needed (e.g., “Look at the dog’s spill“, “Look at the trash bin“). In response, I re-read the text precisely, or you said “Close! It’s just trash“). She said this is evidence that he might not be sustaining looking. In order for him to understand what is meant by matching, I may need to come at it from a couple of angles. For instance, the cut-up sentence practice will help. During the cut-up sentence, using the words, “You made it match” reinforces. During the reading of a text, you might reduce the modelling of the behaviour in response to insertions, but rather shift to prompting instead. I also noticed, myself, in self-reflection that I am being too directive with my son, and not validating his extraneous comments on what he sees. When he describes what he sees I would have liked to acknowledge what he said before directing him to the text. Here’s hoping you found this useful information a great learning experience in kickstarting your child’s reading in a developmental way, following their emotional interests. Please consider sharing this post on Facebook or Twitter and feel free to add your experiences, comments or questions in the Comments section below. Thanks very much for your detailed sharing about your son’s literacy journey and your experience of implementing Reading Recovery techniques. The video was particularly exciting to see this young reader in action!! Great job to both of you! !